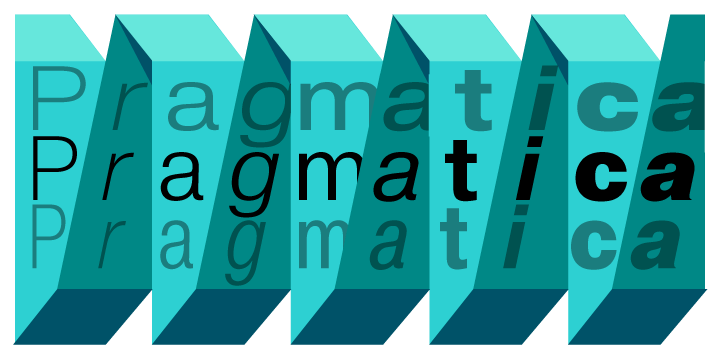 Pragmatica, the amazing typeface was fashioned at ParaType (ParaGraph) during the period 1989-2004. The design credit goes to experts Vladimir Yefimov and Olga Chaeva. The typeface can be referred to as a spin-off from type family, Encyclopedia-4 of the ‘Polygraphmash type design bureau’ introduced by famous designers Vladimir Yefimov and Isay Slutsker in the year 1987. The striking Pragmatica is known to be inspired by Haas typefoundry’s Helvetica and based on beautiful grotesque designs from the 19th century.